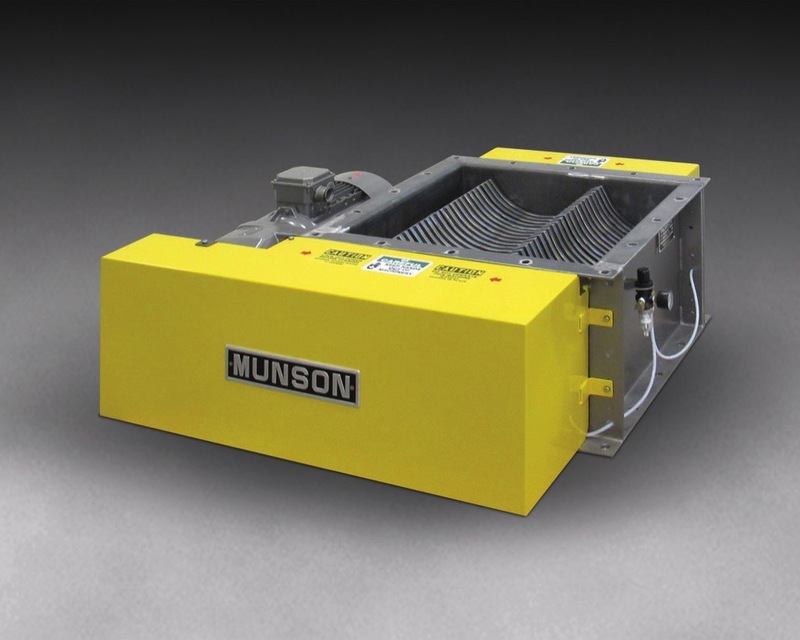 Utica (NY), United States – A new model Rotary Lump Breaker from Munson Machinery breaks chunks of agglomerated abrasive or friable materials that have compacted during storage or shipment, conditioning them for downstream processing or conveying. Low-profile configuration allows for conditioning of material in restricted spaces between bulk storage, handling, processing and packaging equipment. Optional feed hoppers and support structures allow independent operation. 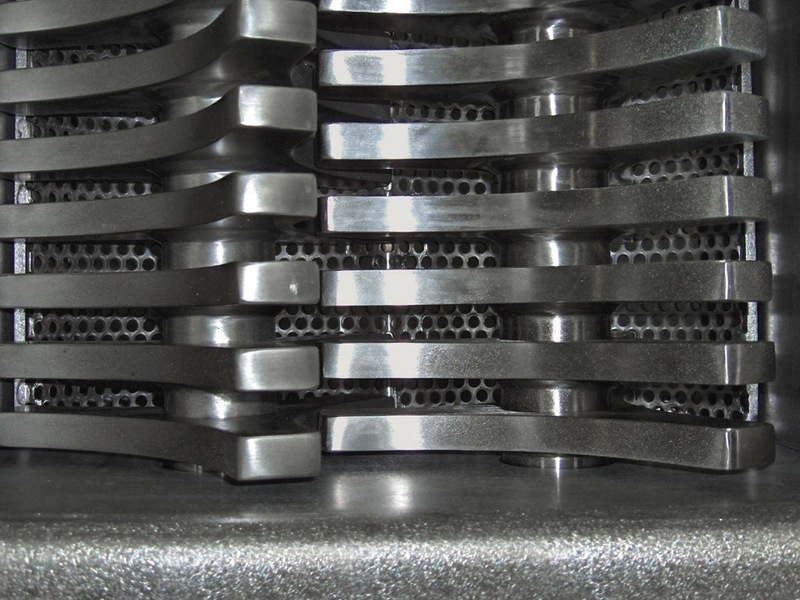 Material entering the 610 mm square inlet of the RDC-2424-MS De-Clumper™ is reduced in size by dual rotors with three-point, single-piece, AR-235 abrasion-resistant steel breaking heads rotating with minimum clearance above a curved, perforated bedscreen. Powered by a 5.6 kW motor with gear reducer and a rugged chain and sprocket drive, the synchronised shafts rotate at approximately 120 RPM, offering high throughput rates with minimal heat generation. A side mounted bedscreen can be rapidly removed for cleaning, replacement or maintenance. The unit is recommended for breaking lumps in product flows of bulk materials such as cement powders, sodium or calcium carbonates, fertilisers, and bulk chemicals of all types. Dual rotors with three-point, single-piece, abrasion-resistant breaking heads rotate with minimum clearance above a curved, perforated bedscreen with apertures from 25 to 64 mm in diameter.